Special counsel Mueller’s office claims that Paul Manafort lied to officials. Prosecutors with special counsel Robert Mueller's legal team told a judge Monday night that President Donald Trump’s one-time campaign chairman Paul Manafort has breached his cooperation agreement and lied to investigators, a new court filing shows. The DC court filing brings to a head weeks of speculation that Manafort’s cooperation with the special counsel could be breaking down. Earlier this month, there were mounting tensions between Mueller and Manafort over Manafort’s apparent lack of cooperation with the investigation, multiple sources familiar with the matter told ABC News. Manafort pleaded guilty to two counts of conspiracy and agreed to 'broad' cooperation with the special counsel as part of his agreement. Prosecutors said Manafort's cooperation would include "interviews, briefings, producing documents, [and] testifying in other matters." That concession did not come easy. 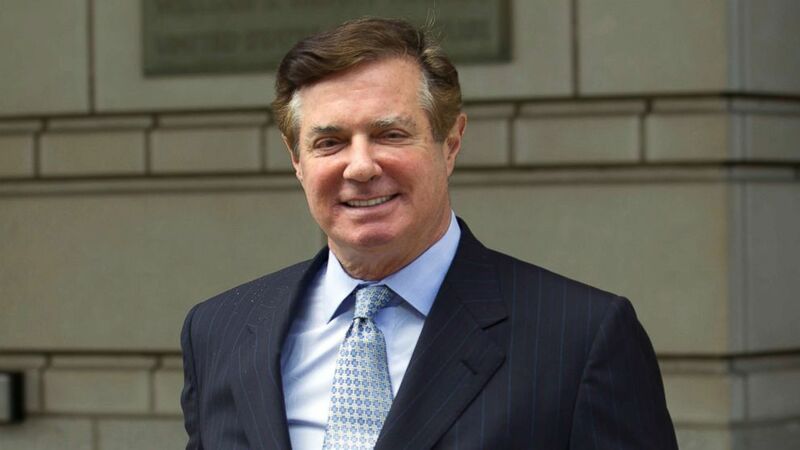 Before striking the deal, a jury in Virginia found Manafort guilty on eight of 18 federal counts of tax and bank-fraud charged against him. A federal judge declared a mistrial on the remaining ten charges after the jury gridlocked. As part of his September plea, Manafort admitted guilt to the unresolved charges in the Virginia case. Manafort’s significance to the Mueller probe is not entirely clear. During the Virginia trial, prosecutors invoked his past work as a political consultant for pro-Russia elements in Ukraine and he faced money laundering allegations tied to payments from political figures in Ukraine. He maintained those overseas relationships both before and during his stint as then-candidate Trump's campaign chairman during the 2016 contest. Manafort departed the Trump campaign in August 2016 after reports appeared in the New York Times and Associated Press suggesting he had engaged in illegal lobbying activities in Ukraine. Manafort has been behind bars since the judge in his DC case revoked his bail in June. He is set to be sentenced in Virginia on Feb. 8, 2019. Neither the defense nor the prosecution team has objected to this sentencing date.